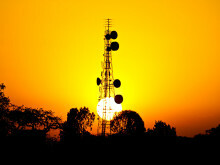 The new DTH platform will reach more Slovakian viewers nationwide and become one of the pillars of Orange’s convergent offer Paris, 14 September 2018 – Orange Slovensko has signed its first-ever multiyear contract with Eutelsat Communications (Euronext Paris: ETL) expanding its pay-TV offer via satellite and enabling a nationwide reach across Slovakia. 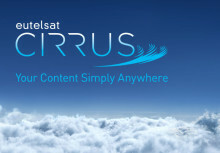 Eutelsat Communications (NYSE Euronext Paris: ETL) is launching Eutelsat CIRRUS, a hybrid satellite-OTT delivery solution, enabling broadcasters to offer a flexible, seamless content experience across multiple screens. 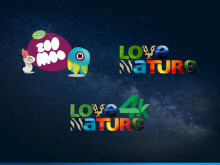 Eutelsat, one of the world's leading satellite operators, international content producer, distributor and channel operator Blue Ant Media, and iKO Media Group, a global end-to-end service provider for broadcasters and content owners, have joined forces to distribute two HD channels, ZooMoo and Love Nature HD, as well as Love Nature 4K (Ultra HD), across Europe, the Middle East and North Africa. 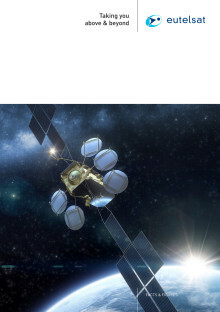 Eurovision Media Services – the business arm of the European Broadcasting Union (EBU) – and Eutelsat (Euronext Paris: ETL) announced today the renewal and expansion of their partnership for capacity in Ku-band via a number of contracts on the EUTELSAT 10A satellite. 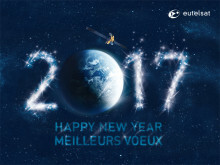 With 2017 just around the corner, let’s look in the rear-view mirror at some of the solid partnerships, strong commercial wins and stellar launches Eutelsat achieved in 2016! 2015 has been an exciting year for us, our clients and our partners. Be prepared for 2016! 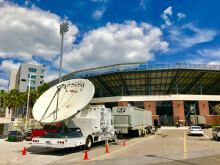 Satellite has played a fundamental role in sports broadcasting for over 50 years, bringing historic events into homes across the globe. 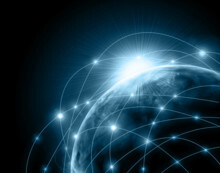 Nowadays, PSSI Global Services, renowned experts in engineered transmission solutions, and Eutelsat are setting new standards for world-class services in this sector. OTT solutions are widely being promoted as the future of broadcasting, however, as audiences demand greater image definition, can they deliver the content in optimum quality? Markus Fritz, Eutelsat's EVP of Commercial Development and Strategic Partnerships, explains how hybrid satellite and OTT solutions can help broadcasters optimise their services.